"It might not be a racial hate crime, but for a person to do this to a church, something's wrong with their heart,” Pastor Toussaint said. In St. Landry Parish, a rural part of Acadiana now stands at the center of an arson mystery. “It’s been hectic. We don’t sleep as much no more,” Pastor Gerald Toussaint with Mt. Pleasant Baptist Church said. Toussaint got the call from his wife Early Thursday morning about the blaze. "She said, one of the members called and say the church is on fire. I said what church! She said 'Mt. Pleasant!'" Toussaint said. 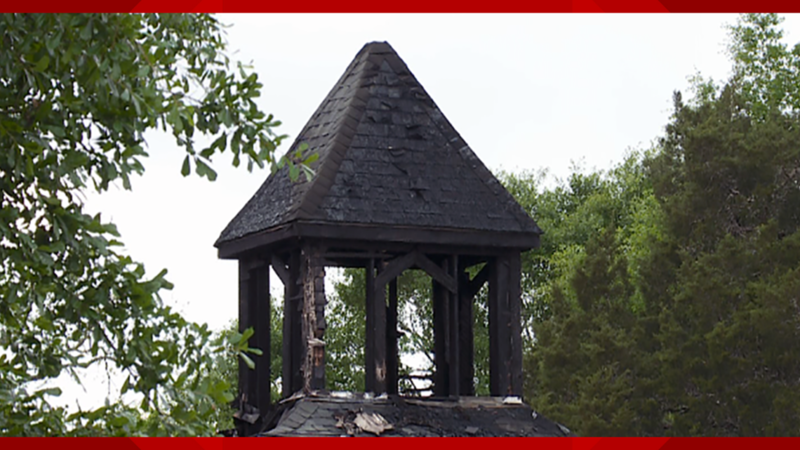 Three churches, historically Black, all burned within a 10-day span in the area. The first fire happened on March 26 at St. Mary Baptist Church off Highway 103 in Port Barre. 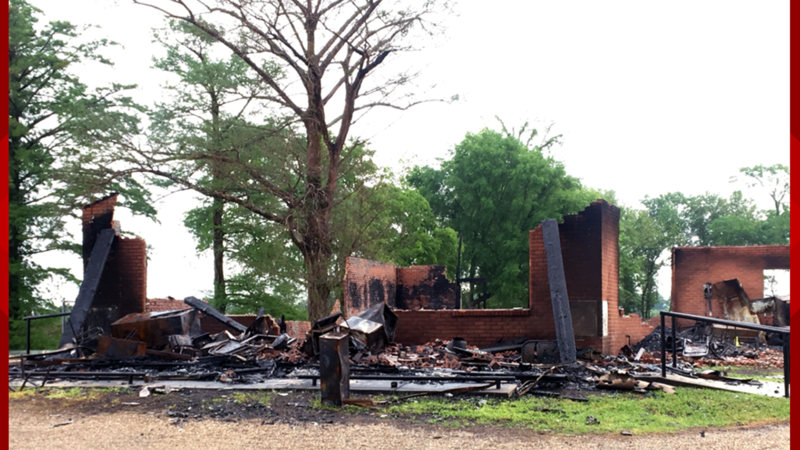 The second fire happened on April 2 at Greater Union Baptist Church on Highway 742 in Opelousas. Two days later, the third fire erupted on April 4th at Toussaint’s church off of Highway 182. The first fire happened on March 26 at St. Mary Baptist Church off Highway 103 in Port Barre. 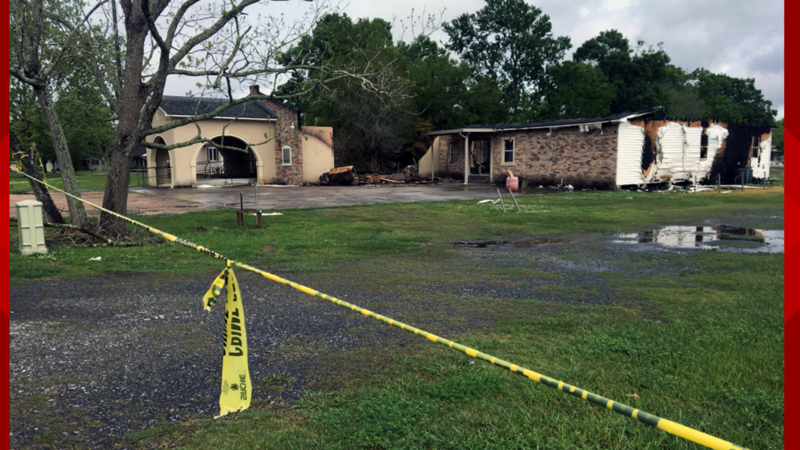 The second fire happened on April 2 at Greater Union Baptist Church on Highway 742 in Opelousas. Two days later, the third fire erupted on April 4th at Pastor Toussaint’s church off of Highway 182. "When the second one happened, I called a lot of my members to make sure that the paperwork and everything for the church was intact. And that we had all that information just in case. Didn't know, that was it,” Toussaint said. Donald Richter lives across the street from Mt. Pleasant Baptist Church. The arson left him stunned and saddened. “I’ve been knowing the pastor for years. I hope they rebuild. 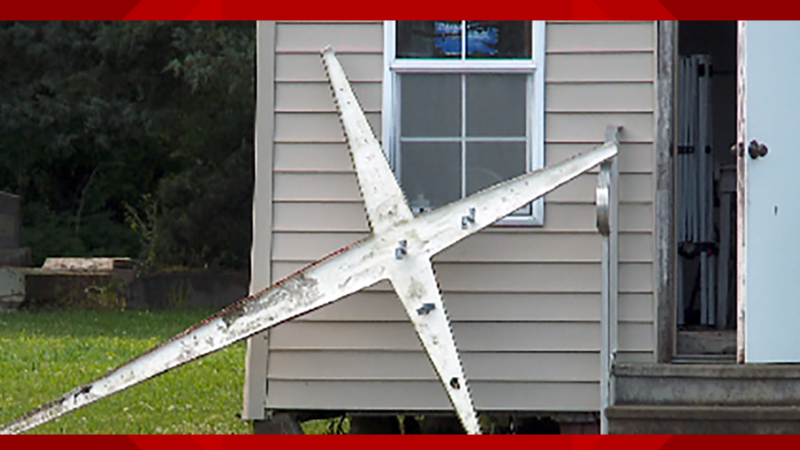 They’ve just been very good neighbors,” Richter said. “We don’t know what the motive is. If we knew what the motive is we’d be publicizing that. It’s irresponsible to talk about what the possible motive is, and it’s going to become clear as we get closer,” Browning said. Many are wondering if it’s a hate crime -- a speculation Toussaint said he does not want to jump to right now. "The atmosphere of the country right now, a lot of people are going to assume because there's so much stuff going on. But we can't say it's a hate crime because we don't know. It might not be a racial hate crime, but for a person to do this to a church, something's wrong with their heart,” Toussaint said. On Sunday, Toussaint held his services at another church nearby. The only thing he’s hoping for are that answers come quickly so that his congregation can focus on rebuilding a church that has been a part of this community for more than a century. Browning says with all of the manpower on this case, they hope to solve it fairly quickly. The ACLU of Louisiana released a statement on Monday, saying in part that the string of suspicious church fires is, "deeply disturbing and a reminder of the violence that people of color continue to face across the south." "While the investigation into the cause of the fire continues, it's on all of us to speak out against hate and intolerance and stand in solidarity with the communities affected by these tragedies," the statement reads.